Getting ready on your wedding day, surrounded by your closest friends and family, is a super-fun and special way to spend the morning, and more and more brides & grooms are choosing to get ready in Airbnb’s or Hotel Suites rather than at their own home. The benefits of getting ready for your wedding at a nice Airbnb are endless, such as choosing a location that is much closer to your wedding venue, or taking advantage of a nice open, well-lit fresh space, which you’ll find is usually a lot more relaxing than home. And then there’s always the little things, like not having random drop-ins from extended family, fewer distractions to get in the way of your getting ready process, more room for the Hair & Makeup team to work, and so on. 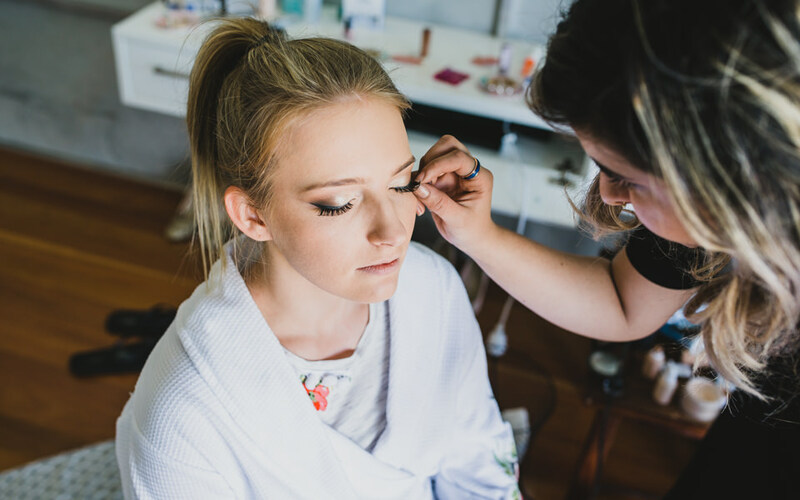 While getting ready for your wedding, it’s always good to have a few emergency supplies & luxuries on-hand. A “box of goodies” just in case anything unplanned happens, that may come in handy during prep time, but that you can also take with you as backup supplies throughout the entire wedding day. 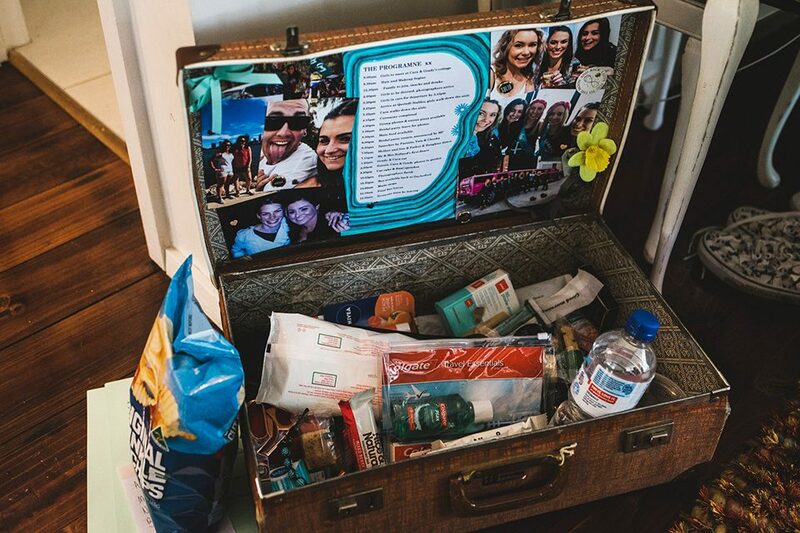 Enter, the “Wedding Day Emergency Kit”. It’s pretty much guaranteed: every wedding something will go wrong, that’s just life. But luckily they’re generally really, really minor issues, easily fixed with the right tools. You’ll quickly find that a little bit of preparation goes a long way. Being prepared ahead of time could save you many a headache on your wedding day, and if Murphy’s Law has taught us anything, if you’ve prepped for it, you won’t need any of it. But, that perfectly OK too – A smooth-running wedding day sounds great, doesn’t it!? 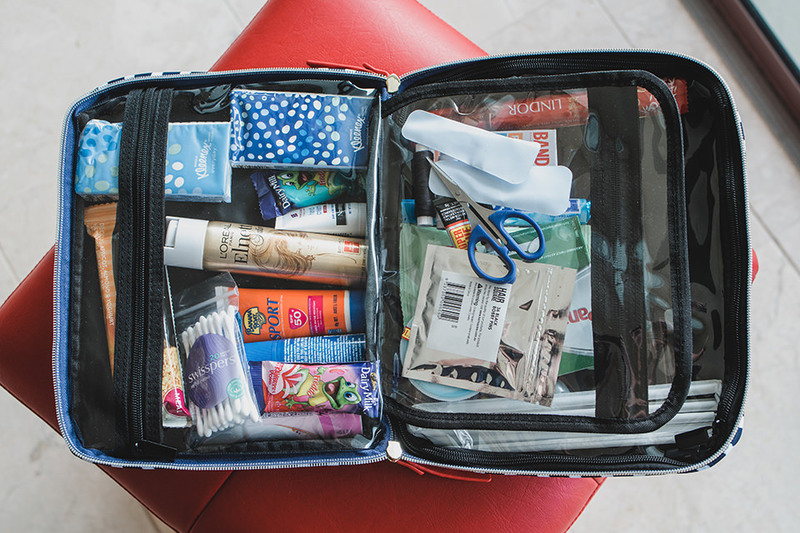 A Wedding Day Emergency Kit is a fantastic tool to have by your side, from getting ready in the morning to the last dance at the end of the reception. You’ll be free to relax and not have to worry about what to do if your zip breaks when getting into your dress, or a groomsman splits his pants during photos, or your sister feels faint because she forgot to eat lunch, or your husband-to-be gets a killer headache. Yip, we’ve seen these things happen at many weddings we’ve attended, and several other little hiccups like them. Some of the stuff on the list below you might naturally have with you anyway, but having it all together in one place in a nice little box, means it’s easily on-hand when and if you need it. The items don’t have to be expensive, or fancy for that matter, but just these basics could save you some stress, and the awkwardness of having to send mum off to the shops at the last minute. Below are the basics of what I recommend purchasing or rounding-up to form your own Wedding Day Emergency Kit. Of course, customise it to yours and your friends & families needs. The more personalised, the better! Though this list is targeted for the ladies, guys shouldn’t feel left out. This is a great idea for you too. For the gentlemen, swap out a few items not needed above, and throw in some spare black socks, maybe an extra belt, a spare set of cuff-links, nail clippers, cologne, hair wax, etc, and you’re all set! That’s it. A simple tool box, that can be a luxury on your wedding day or a much-needed life saver! I’d say the Scouts were right: Always be prepared. Check out more must-read Articles for Engaged Couples right here. Starting the journey of looking for a Wedding Photographer? Check out our Featured Weddings & Info here. Hey! 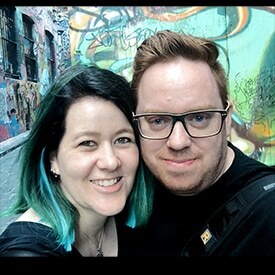 We’re Glen & Fiona from Lionheart Photography. Thanks for checking out our blog. We love to travel, eat Nandos, watch superhero films, and we love to photograph relaxed weddings for rad couples in Melbourne, the Yarra Valley and all throughout Australia.